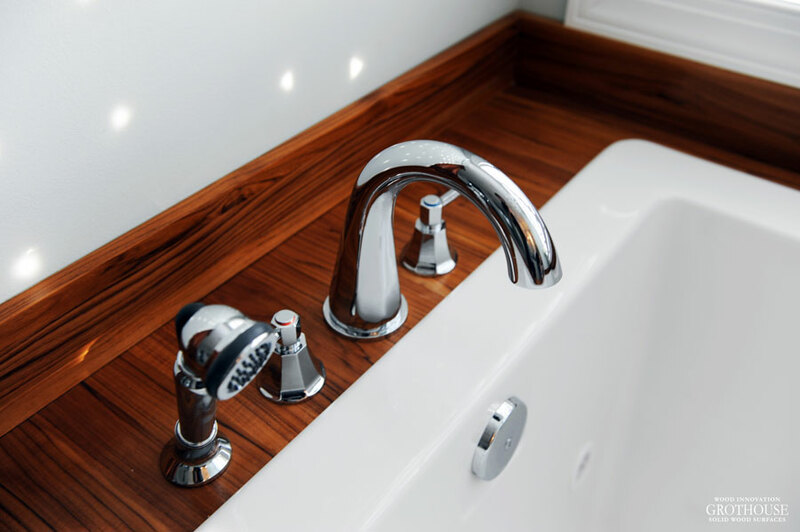 One material that is – and always has been – environmentally friendly is wood. 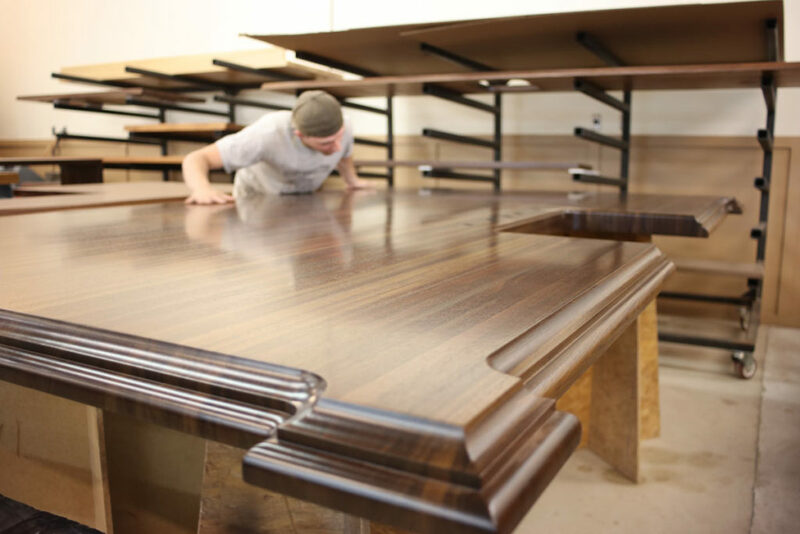 North America has an abundance of forests with beautiful woods used to craft high quality furniture, such as custom wood countertops. 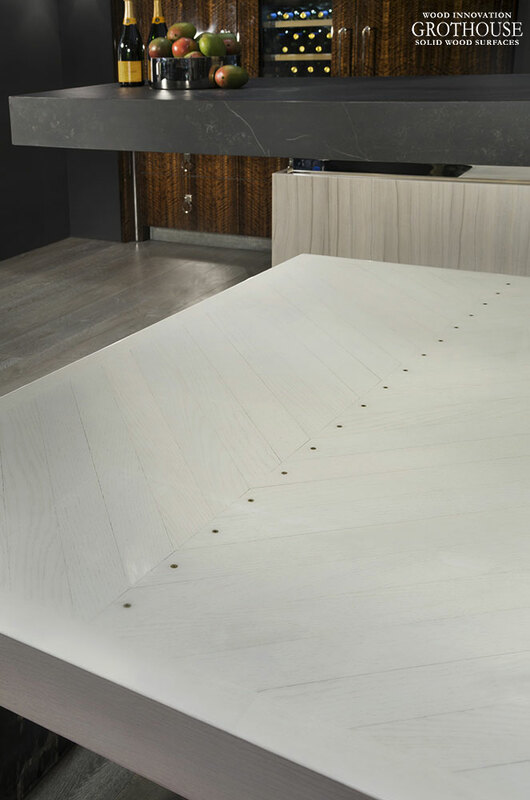 North American Wood Countertops are made from responsibly harvested wood that is harvested, replanted, and renewed to an almost limitless degree. 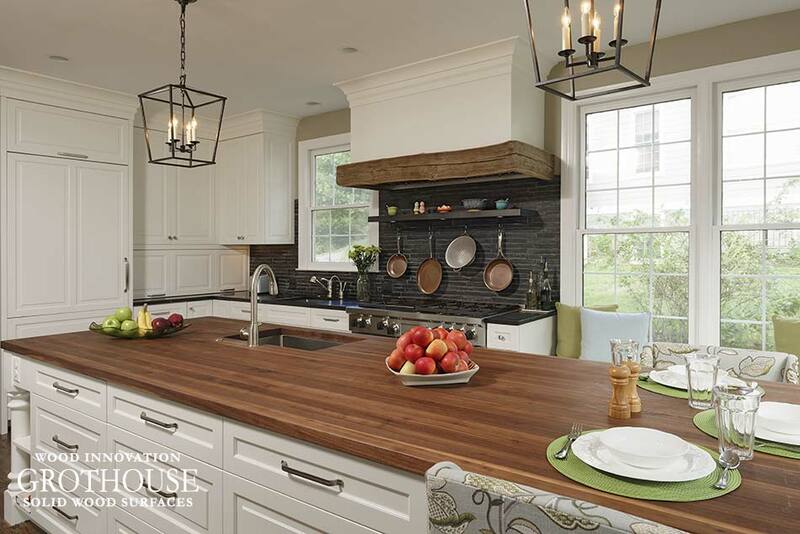 Below are some of the most popular North American wood species used for countertops designed for use as kitchen countertops. 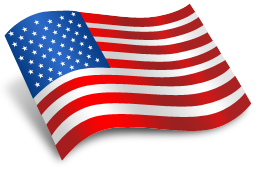 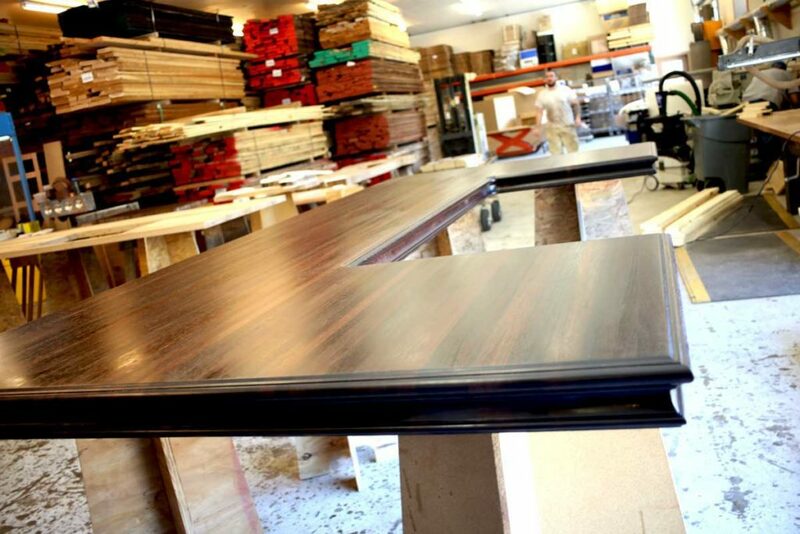 Cherry makes up 3% of the commercially available hardwoods in the United States. 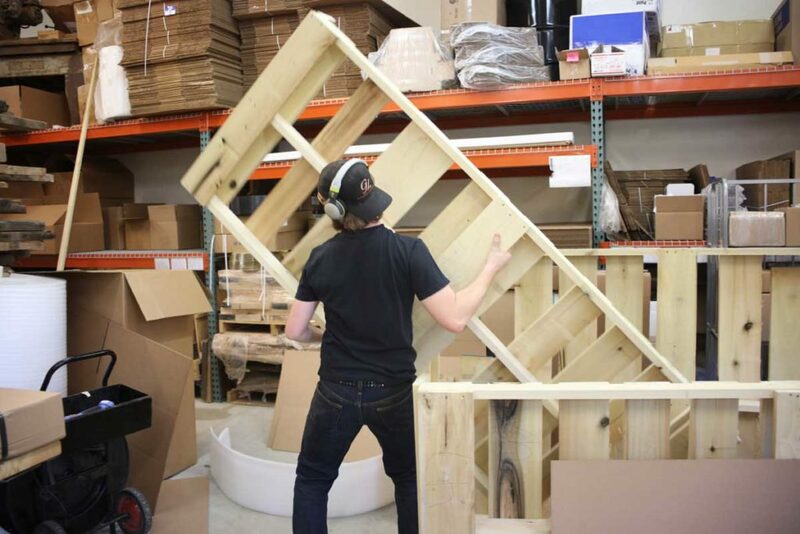 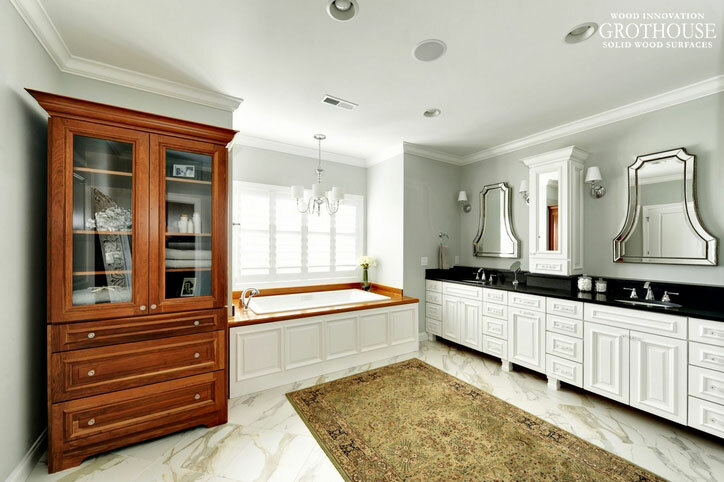 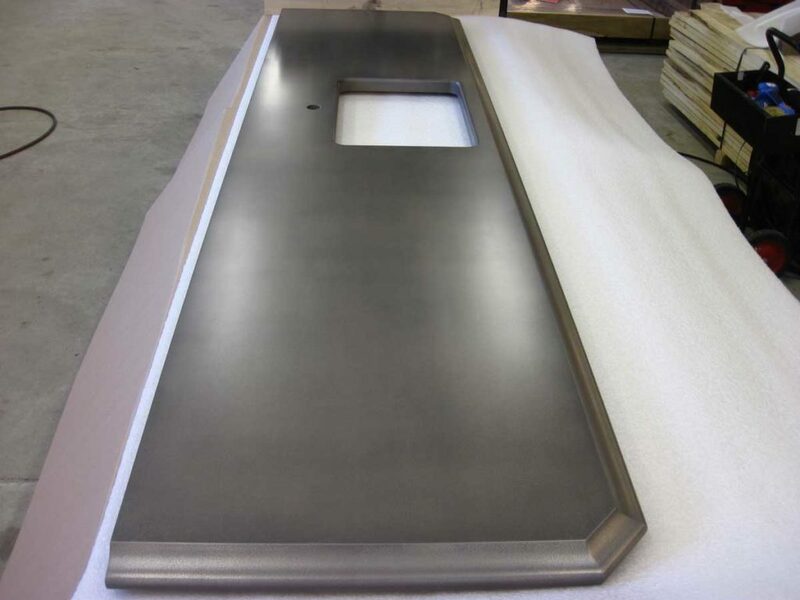 It is prominently used to craft high end furniture and cabinetry worldwide. 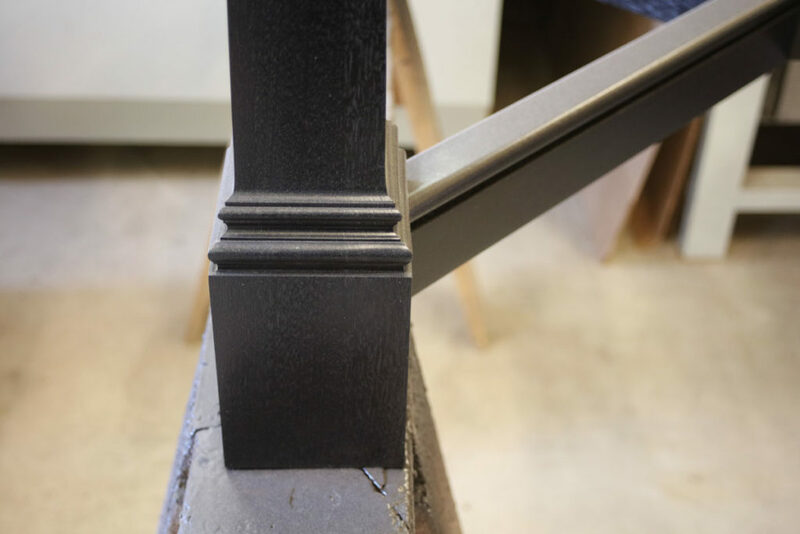 Ash makes up 4% of the commercially available hardwoods in the U.S. 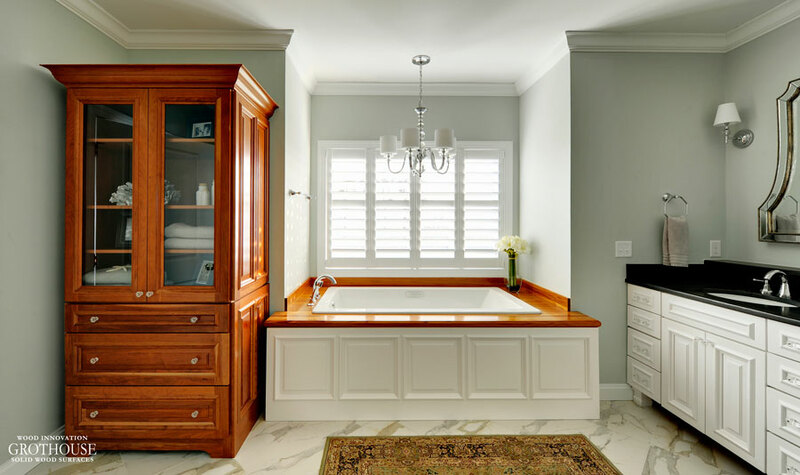 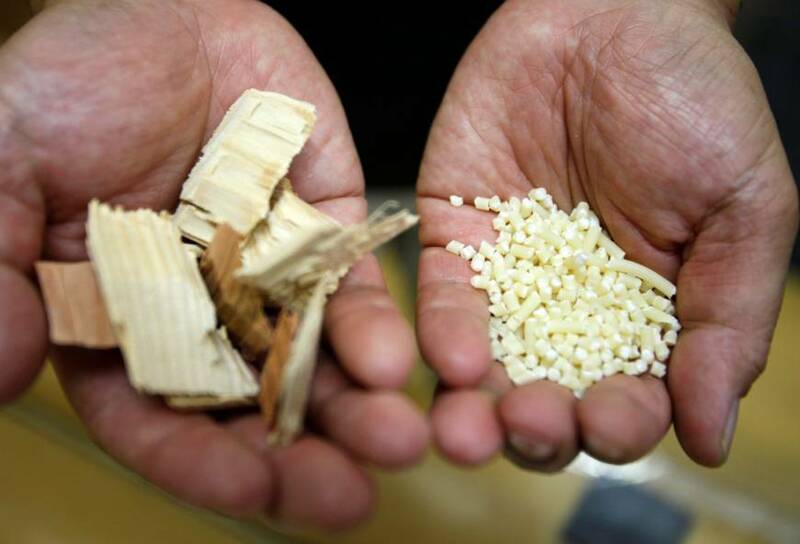 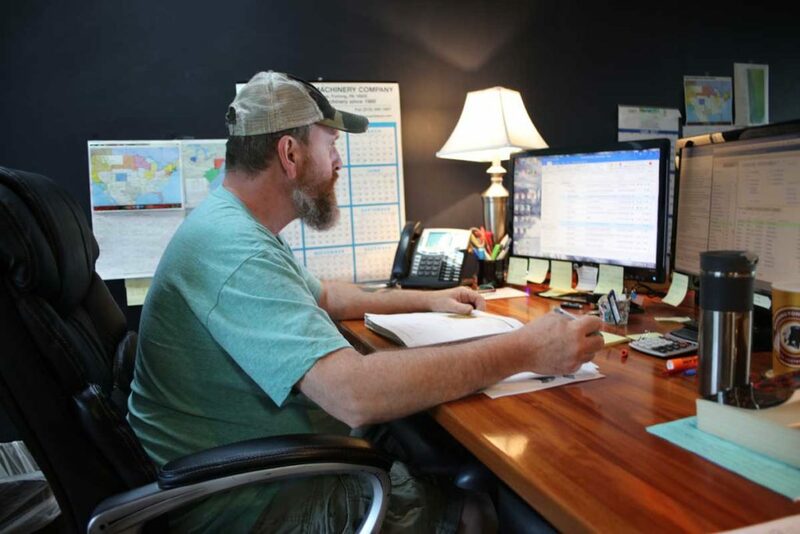 It is best known as the wood used to craft baseball bats due to its shock absorbency, but it is also used for furniture, flooring, cabinetry and other millwork. 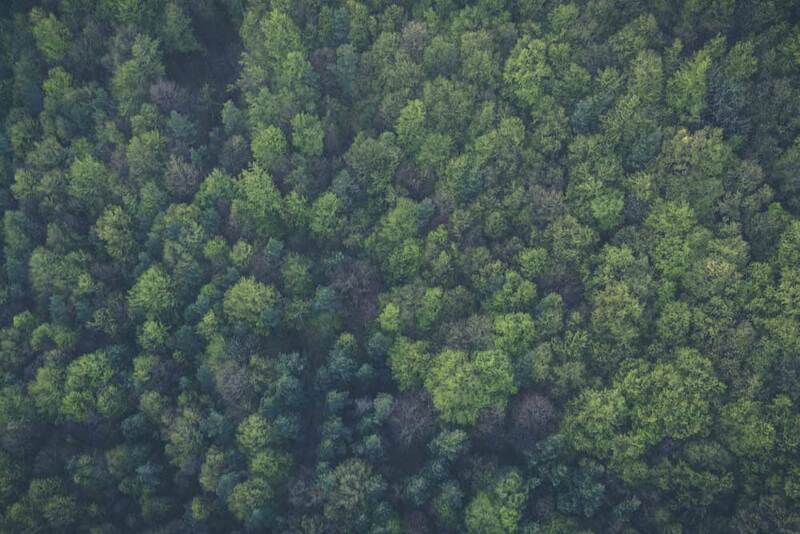 Hard Maple makes up approximately 8% of the commercially available hardwoods in the United States, and is prevalent in the northern and eastern states. 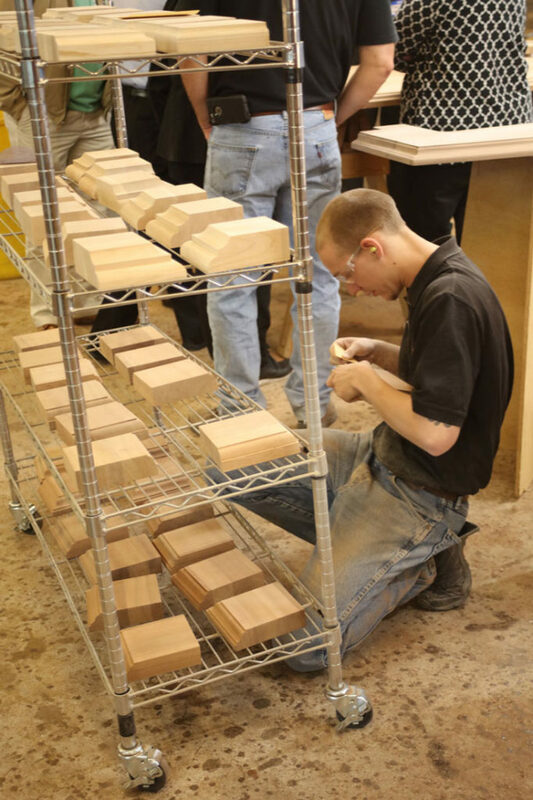 A small percentage of maple trees produce special figure such as bird’s eye or curly maple, which is sought after for its visual interest and appeal. 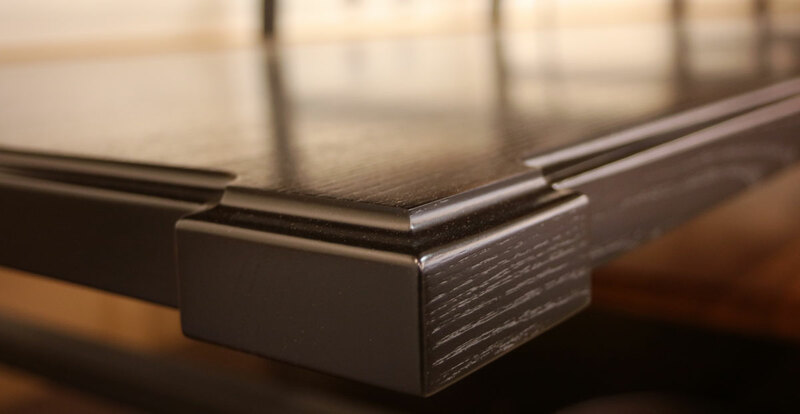 Hard maple is very heavy and strong and has a fine, uniform texture with a close, straight grain. 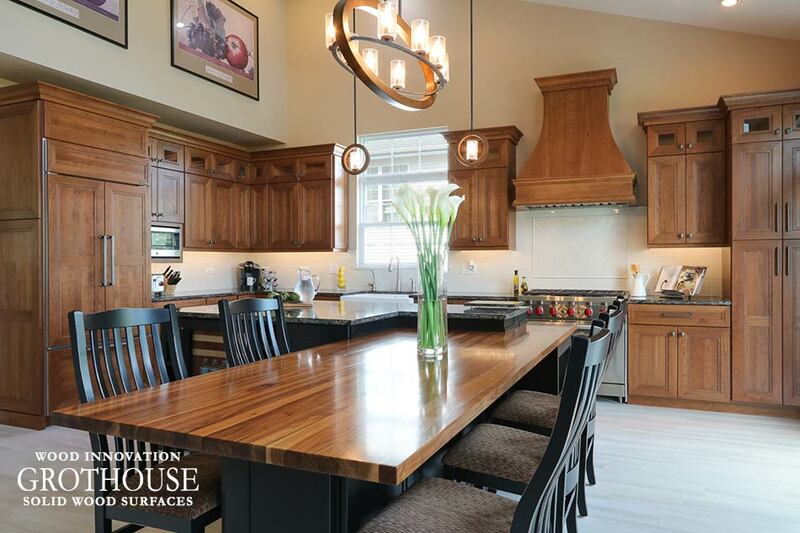 Walnut makes up less than 1% of the commercially available hardwoods and grows throughout the eastern U.S. Walnut is one of the most popular wood countertop choices for kitchens today. 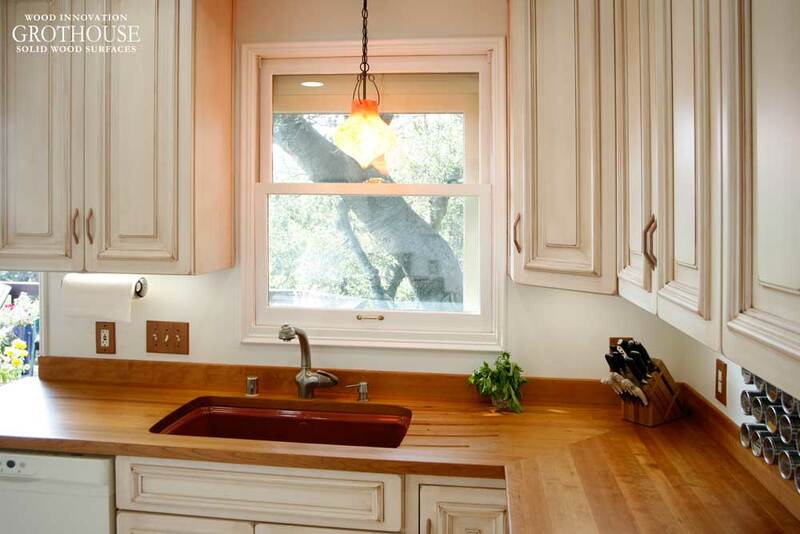 White Oak trees grow across the eastern and southern U.S., comprising 15% of the commercially available hardwoods. 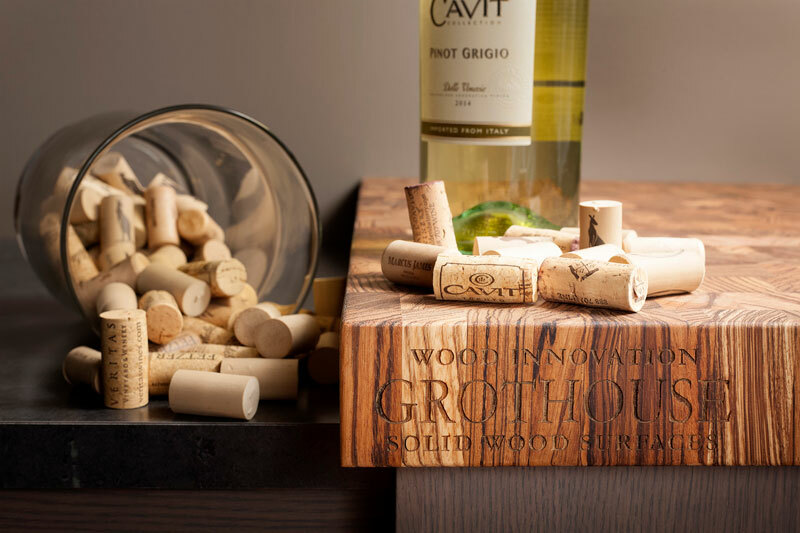 White oak is used to make furniture, cabinets, flooring and millwork and is the preferred species for wine and whiskey casks. 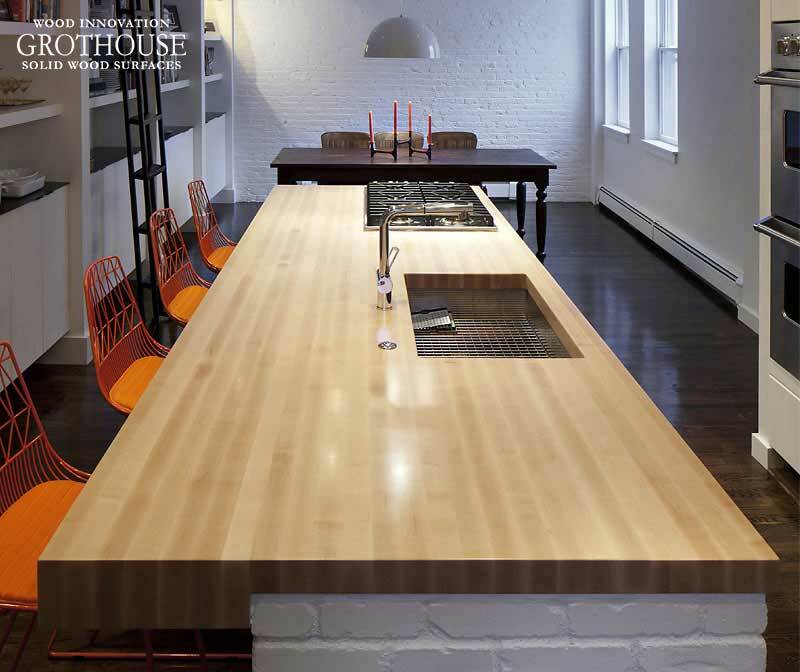 To learn about more North American wood countertops and see other wood species available, visit the Grothouse Countertop Design Guide. 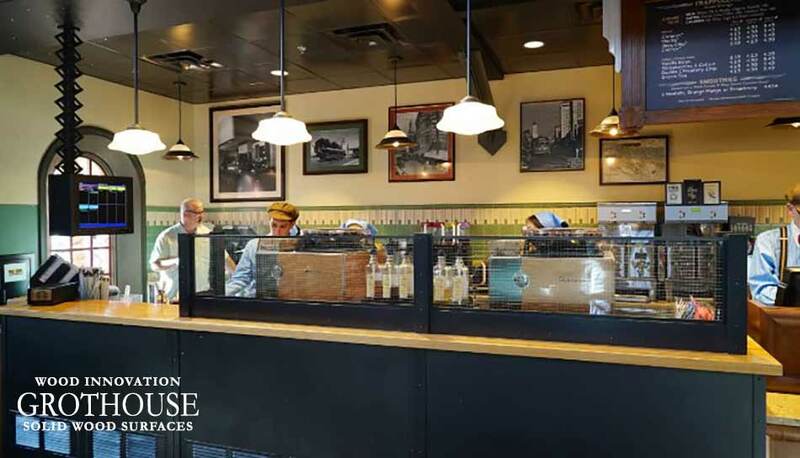 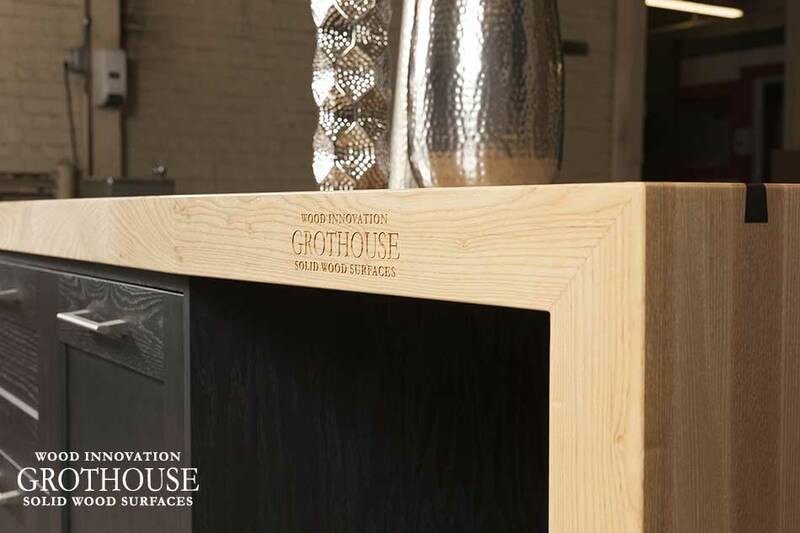 Like Grothouse on Facebook and follow @grothouseinc on Instagram for daily wood countertop design inspiration! 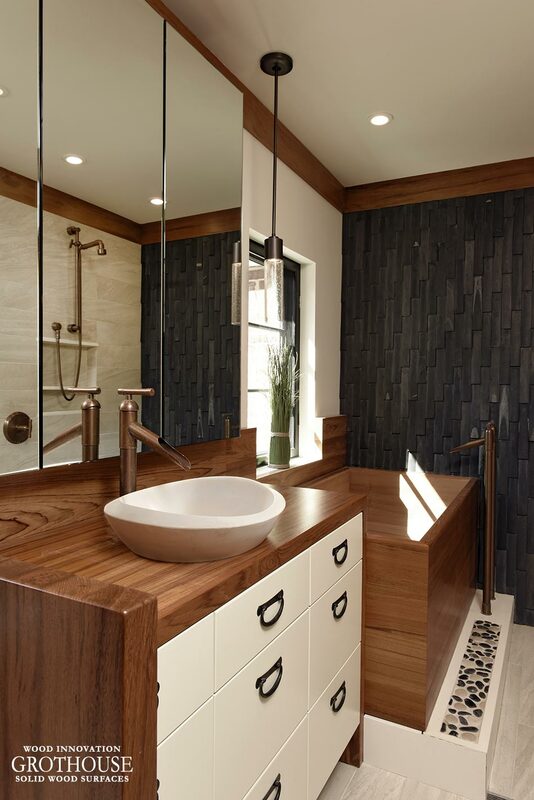 Gone are the days when brick was carefully and meticulously concealed with more polished, modern finishes. 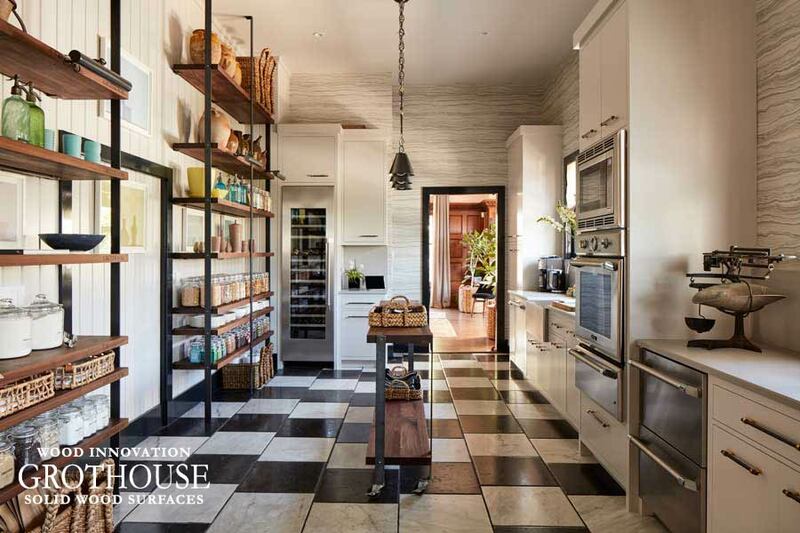 Exposed Brick Kitchen Designs with wood countertops exhibit an architectural feature that enriches and beautifies modern spaces, blending unique textures, patterns, and colors. 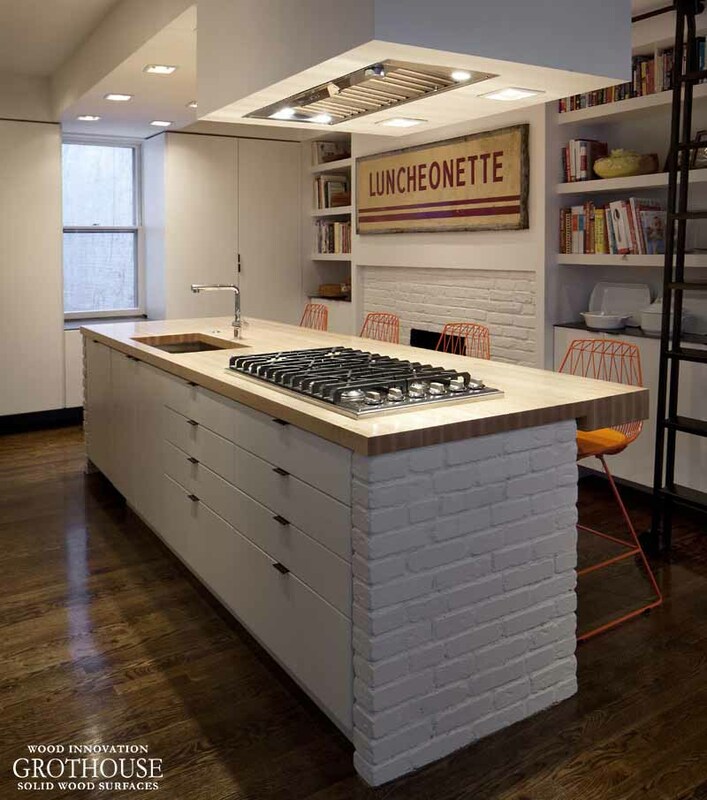 Exposed brick is versatile and suitable for many kitchen styles. 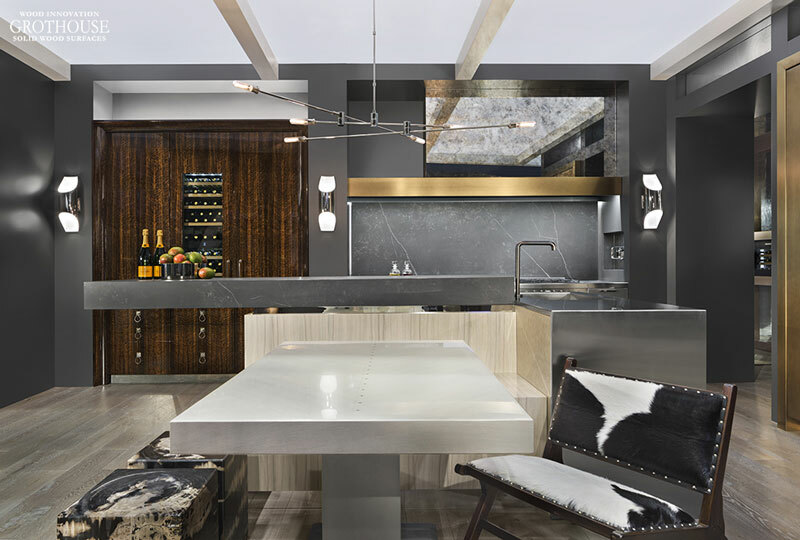 It has a cozy, inviting ambiance and can offer a beautiful backdrop that lets various elements in the space shine. 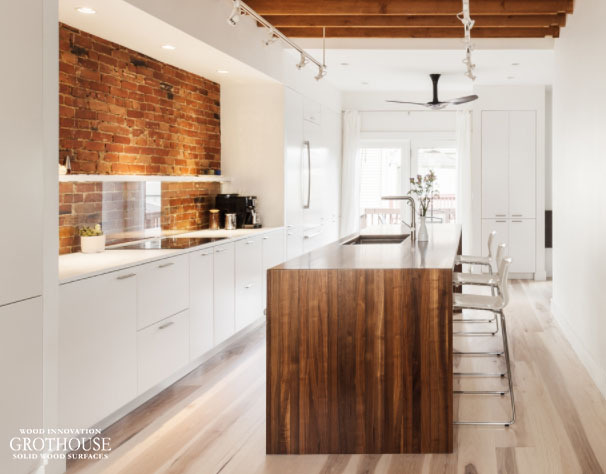 Chris Greenawalt of Bunker Workshop designed a Walnut Pastore™ kitchen island countertop for this white kitchen with an exposed brick backsplash. 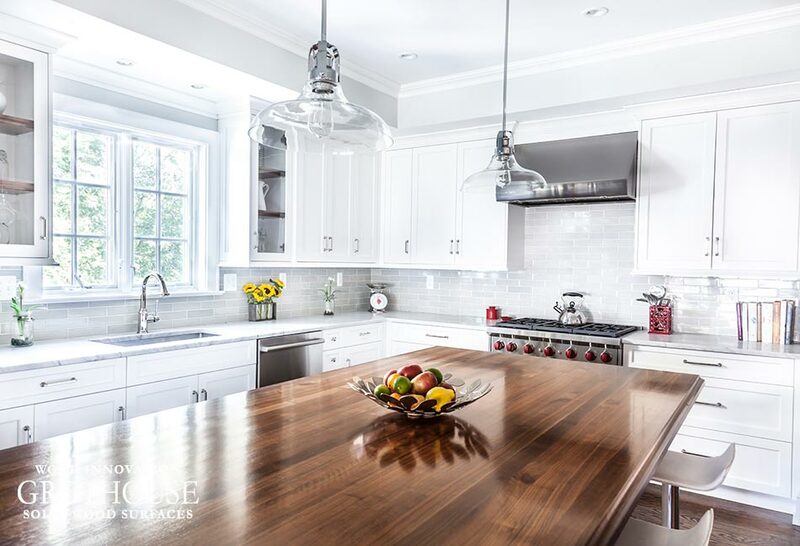 The parallel wood countertop and brick add warmth to the otherwise all-white kitchen and add textural interest. 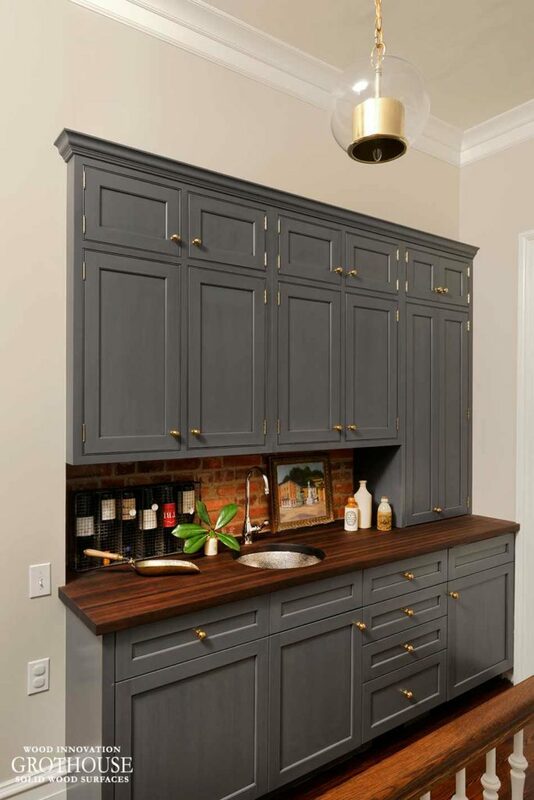 This wet bar designed by Jennifer Gilmer Kitchen and Bath features an exposed brick backsplash with a Peruvian Walnut countertop. 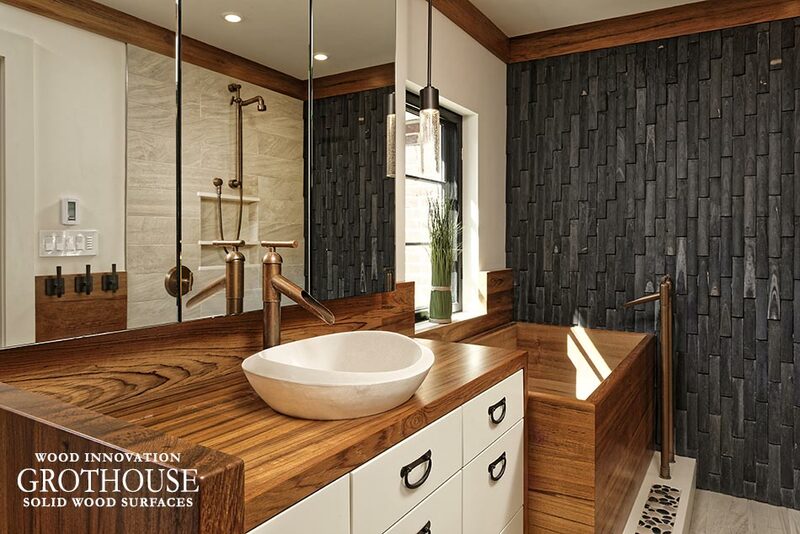 The wood and gold cabinetry hardware beautifully accentuate with the warm red tones of the brick. 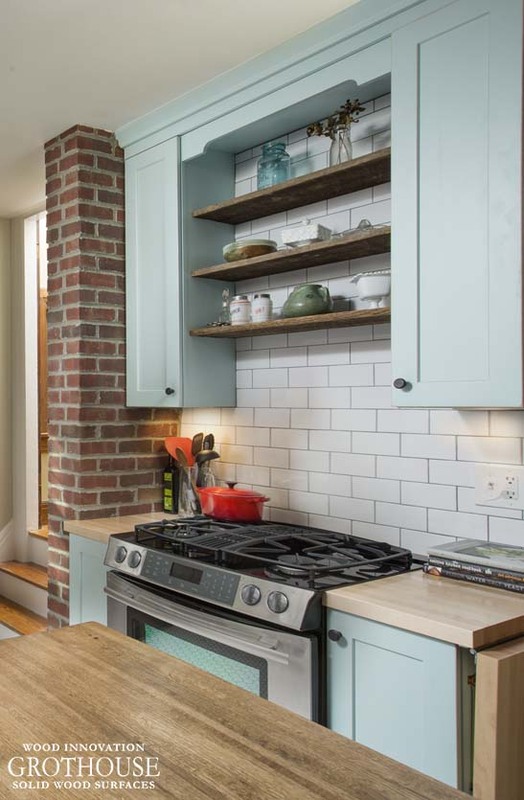 Griffey Remodeling designed Maple countertops for this light blue kitchen with an exposed brick wall and white subway tile backsplash. 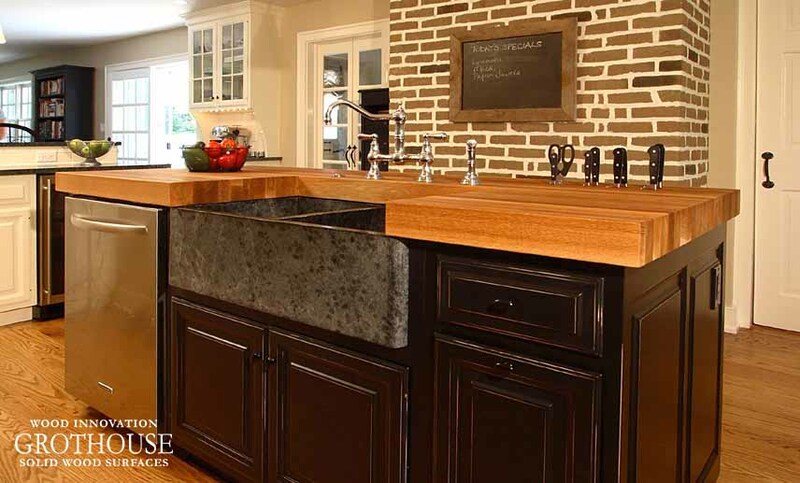 Design by KT Highland Inc.
KT Highland Inc. designed a custom White Oak kitchen island countertop to complement the exposed brown brick wall. Chris Greenawalt of Bunker Workshop also designed the kitchen pictured above. 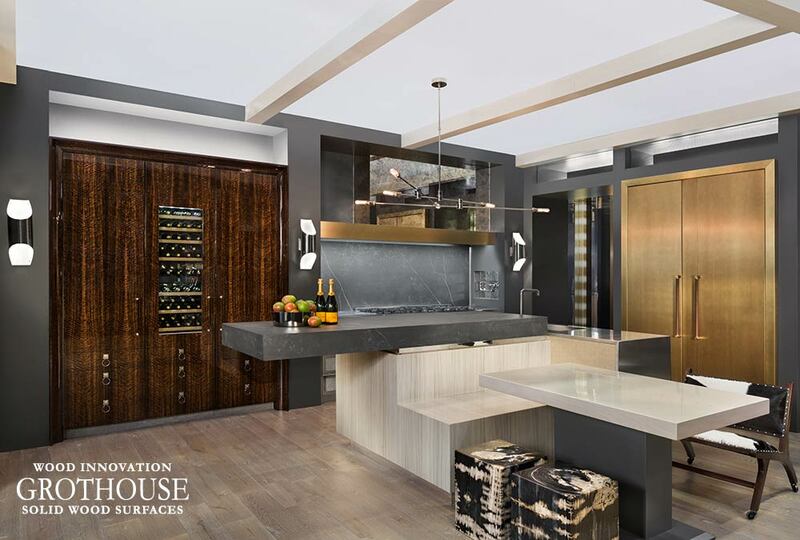 The kitchen island features a Maple countertop with a white brick base, matching the white brick on the wall behind the island. 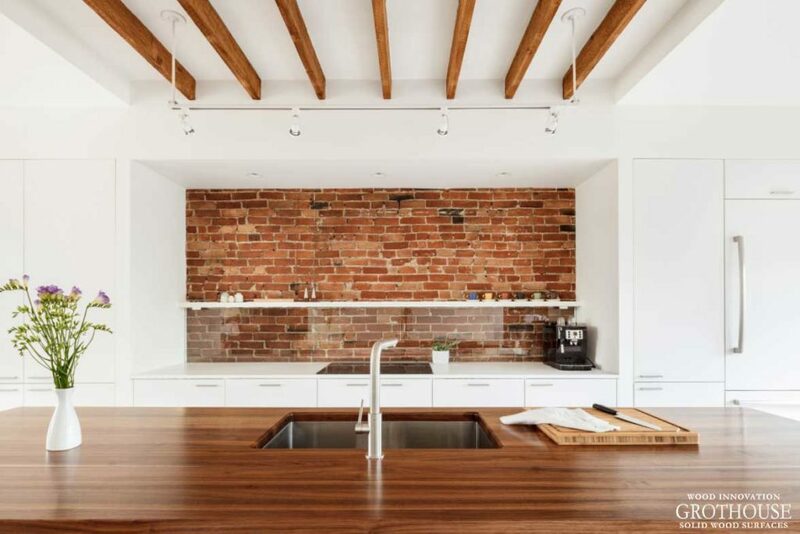 Want to see more exposed brick kitchen designs? 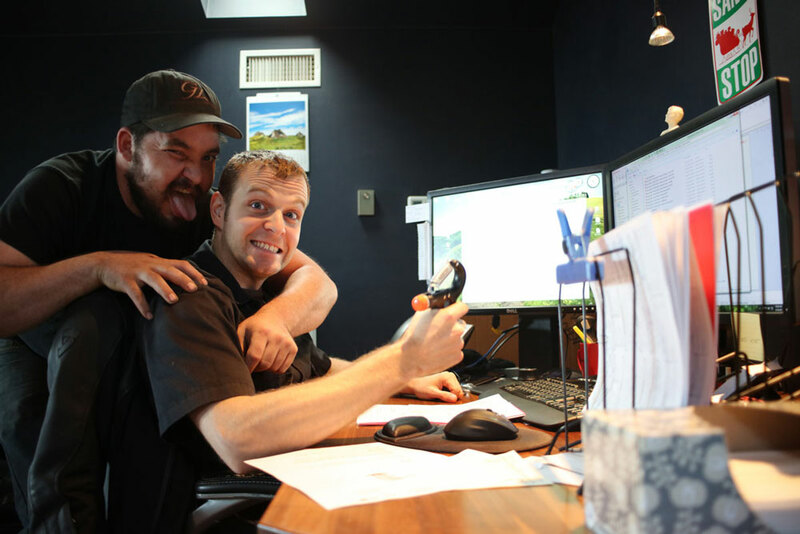 Check out the Grothouse Image Library and like Grothouse on Facebook!